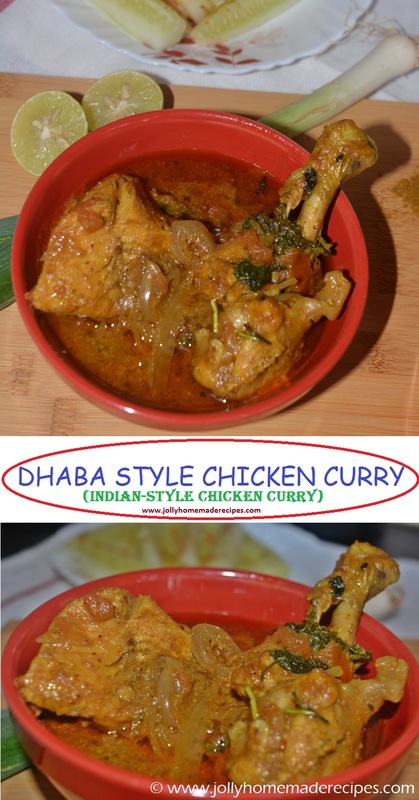 Dhaba Style Chicken Curry with step by step photos recipe - Very easy and simple recipe to follow. 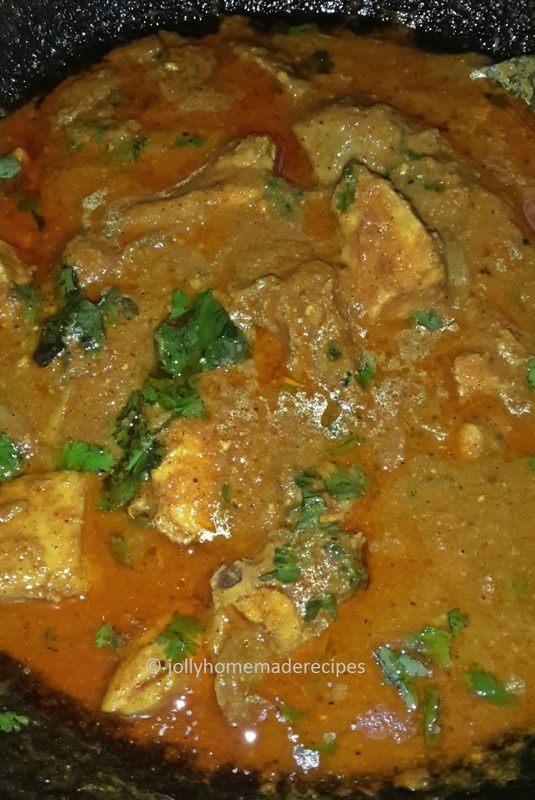 This chicken is delicious curry from northern India...flavored with aromatic spices in onion-tomato base thick gravy, that is mildly spicy and tastes great with Naan or Paratha or Rice. 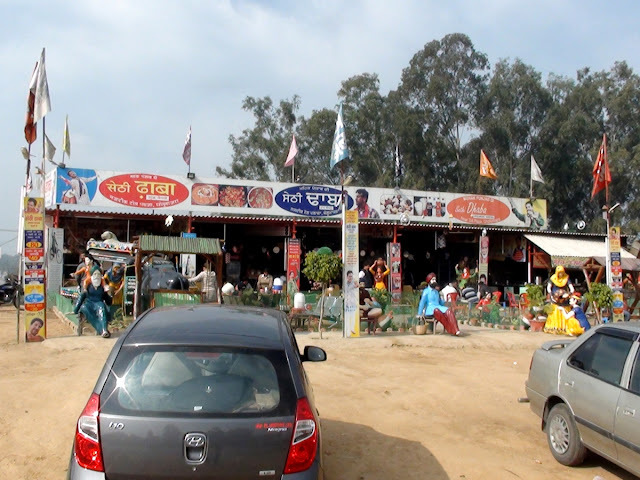 I am from North India, before my marriage when we visit to our mama and massi place towards Punjab that time we enjoy the taste of authentic dhaba food..The journey between my hometown to Chandigarh, lots of dhaba will come. It has been a while since I had posted a Indian curry recipe in my blog. 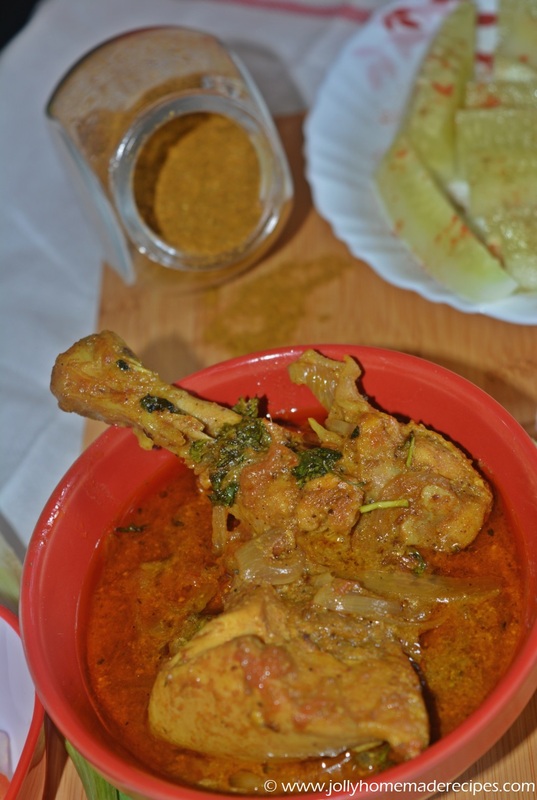 This is my style of dhaba style chicken curry with less spicy according to my family taste. 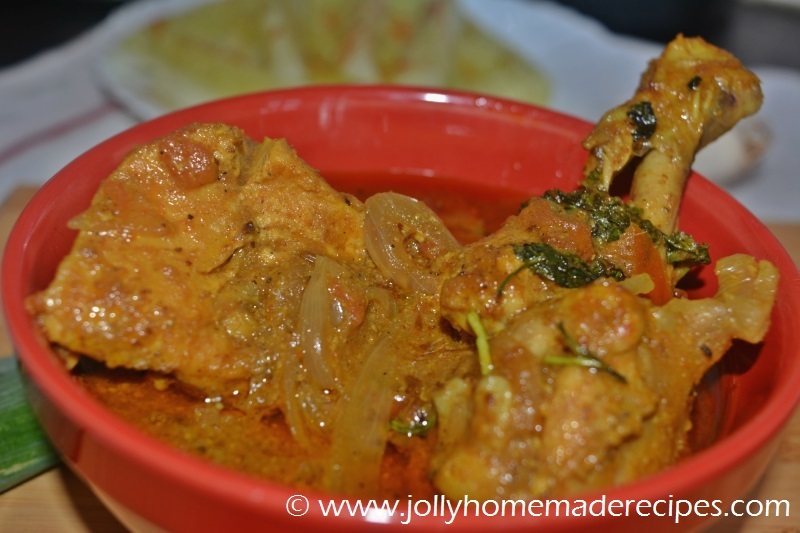 Also if you are looking for the thick gravy chicken curry types that you usually get in restaurants, give this one a try. I’m sure you will not be disappointed. Let's start the process of dhaba style chicken curry with step by step method. 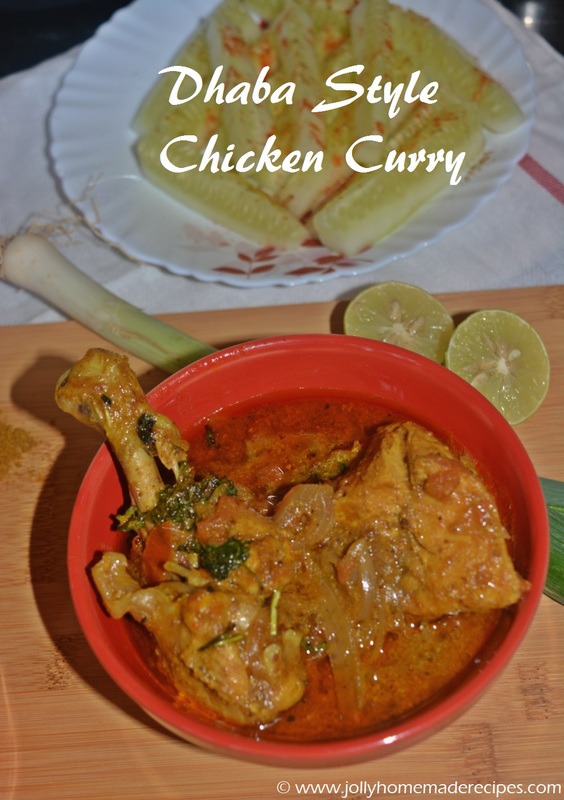 Sprinkle Black Salt to taste, Red chili powder and squeeze with lemon juice, toss it with light hands and Serve it with your chicken curry !! 1. 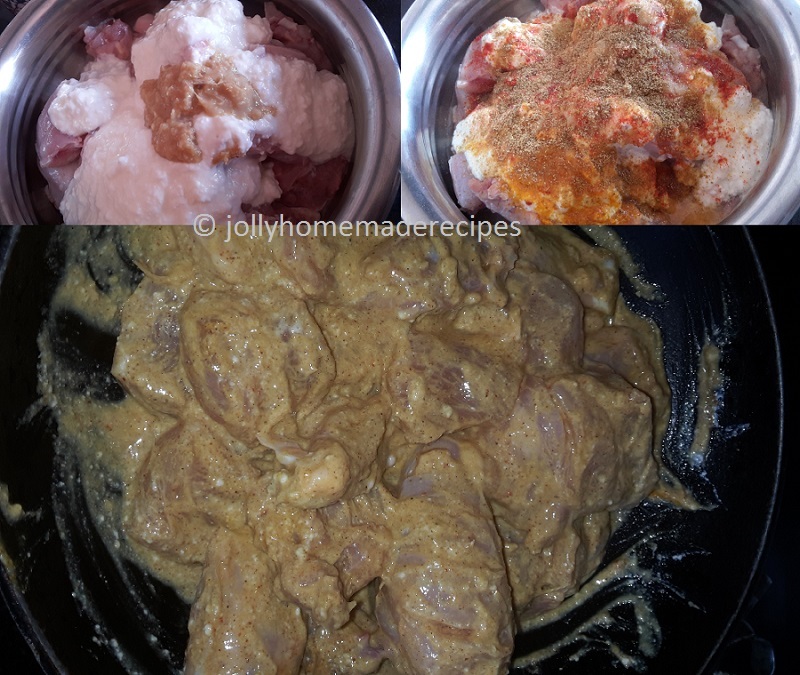 Marinate the chicken pieces with ginger garlic paste, curd and all spices mentioned above. Cover and set aside for 1 hour. 2. Grind onions, ginger, garlic and green chilies to a fine paste. Set aside. 3. 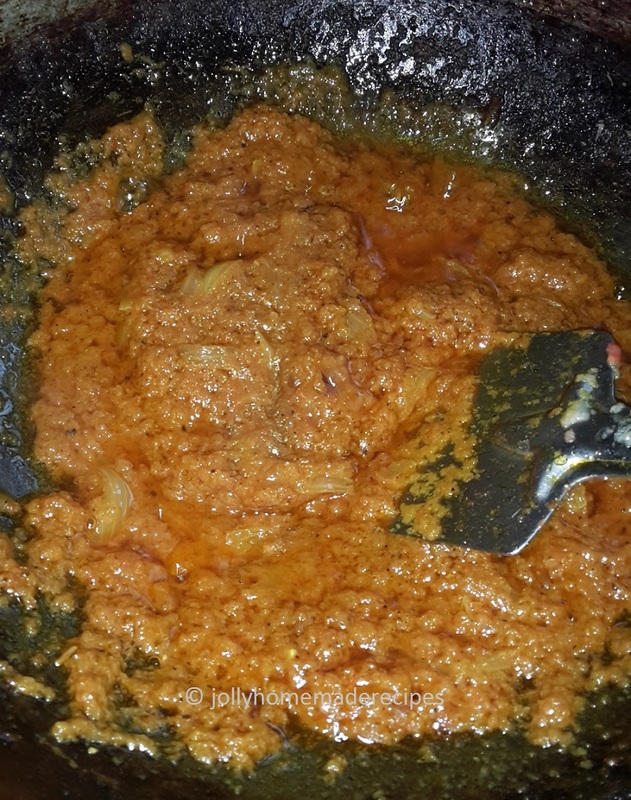 Heat oil in a large heavy bottomed pan/kadai or pressure cooker. Add cumin seeds when it splutter add 1 medium sized sliced onions. Roughly pound all the whole spices (bay leaves, cinnamon, cardamom, peppercorns and cloves) and add to the oil. 4. Once they start to splutter, add the onion paste. 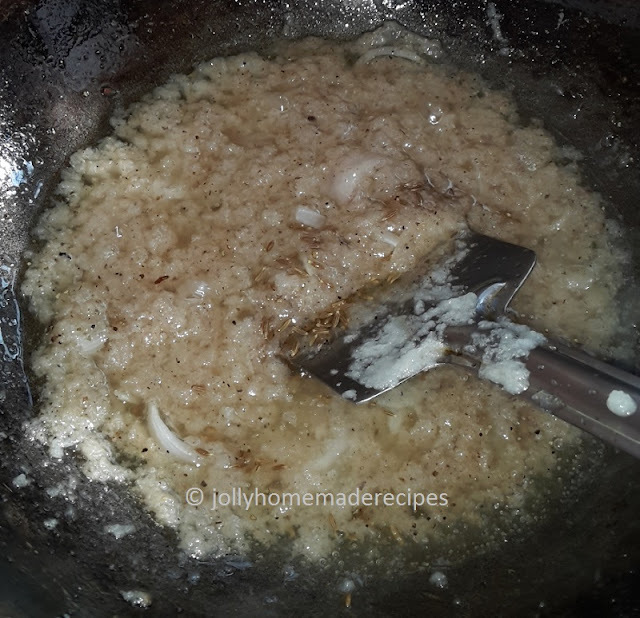 Cook the onion paste on a low flame, stirring occasionally, till it is reduced to a golden, brown paste and the oil starts to surface. 5. Add tomato puree, salt, turmeric powder, red chili powder (if using) and coriander powder. 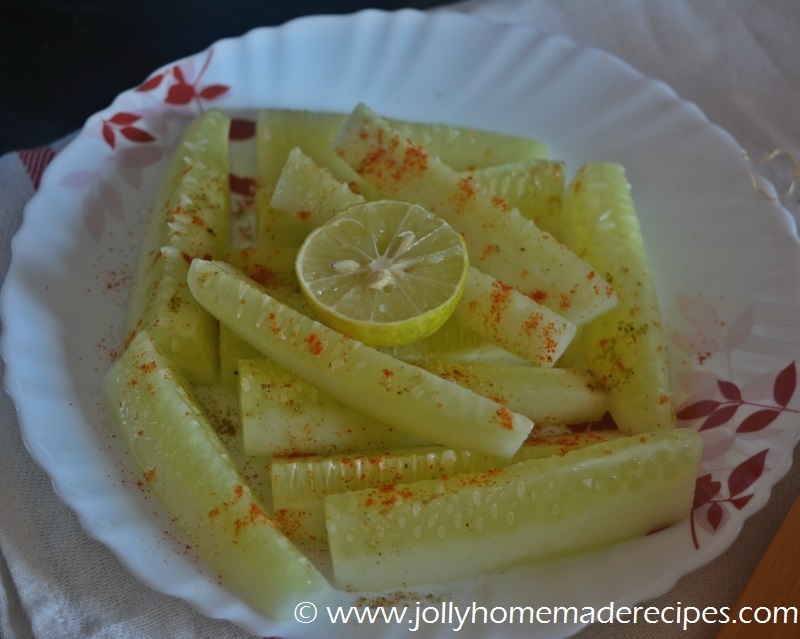 Cook this paste for few seconds till the oil leaves around. 6. 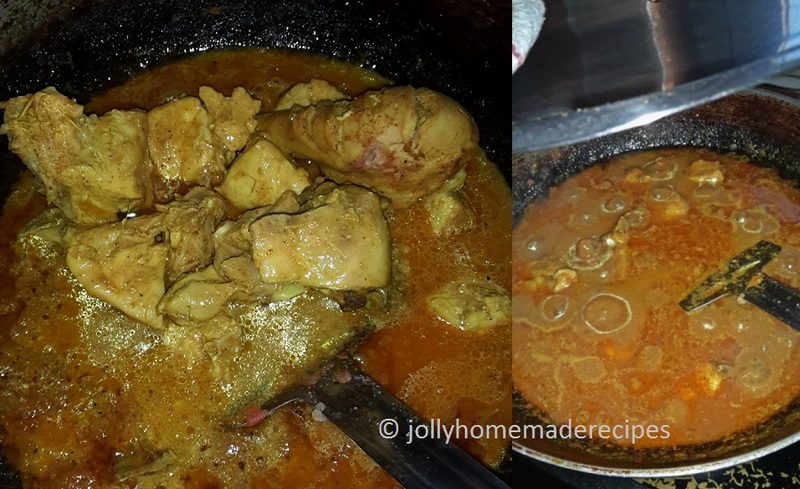 Add the chicken, garam masala and 1/2 cup of water and bring the curry to a boil, reduce the heat, cover with a lid and let it cook on medium heat for 20-25 minutes. 7. Uncover the pan, and cook for another 15-20 minutes till the water evaporates and the curry starts to thicken. 6. At this stage, if you are using a pressure cooker, place the lid and pressure cook for 3 whistles. Switch off the flame and let the steam escape before opening the cooker. 7. 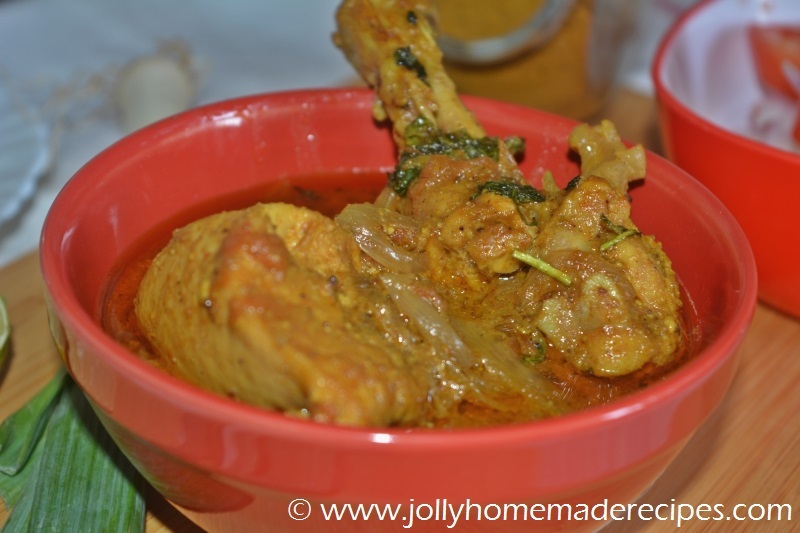 Simmer for 5-10 mins on high flame, if required, to thicken the curry (chicken leaves a lot of water). I didn't need to do this. 9. 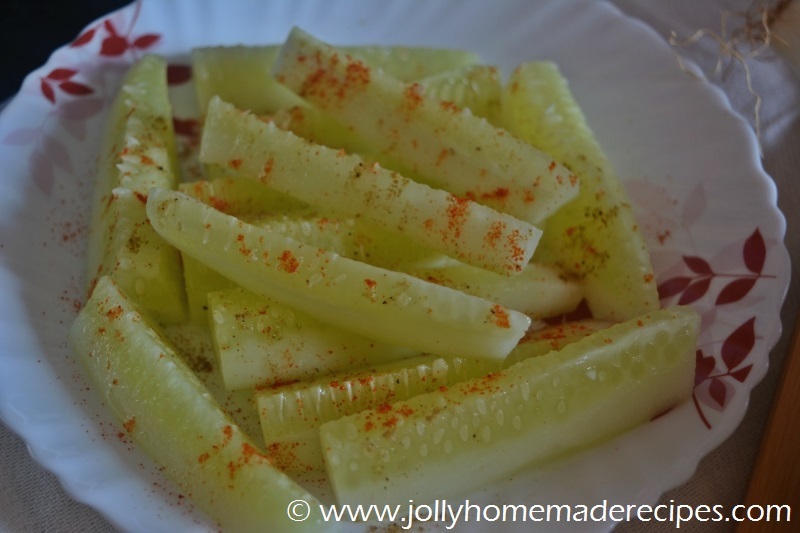 Serve with hot naan or roti or good going with boiled white rice. Happy Cooking & Enjoy ! ! Looks so rich and delicious! !Im loving it!! I love the GT road and the dhabas there, love the pics and the recipe is super delicious! I really like your blog, it looks very nice, I'm happy to visit again to see your blog because it's very good indeed, thanks’ for all. You have such a great sense of style. I'm working in this websiteI love reading your blog posts because you always give me inspiration to try something new and different. The chicken looks lovely & the color is totally beautiful. This is very similar to the way I make it at home. Slurp slurp, my mouth is just watering here. 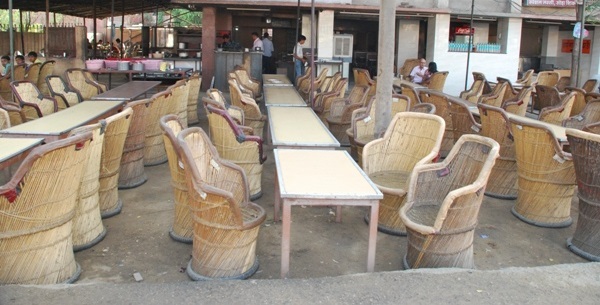 Dhaba style foods are always my favourite. 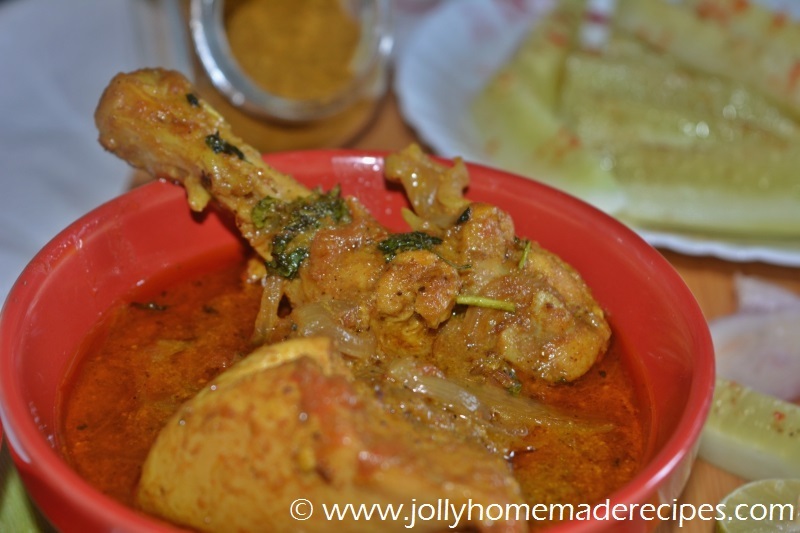 Am sure this chicken curry will definitely please my tastebuds.